Hello Beauties! As usual I have very simple and delicious recipe for you today. The thing is that sometimes I get bored of my regular oats and porridges so yesterday I decided to do a little experiment. It turned out so good that I want to share it you. 1. Soak the dates in hot water for 10 minutes. 2. 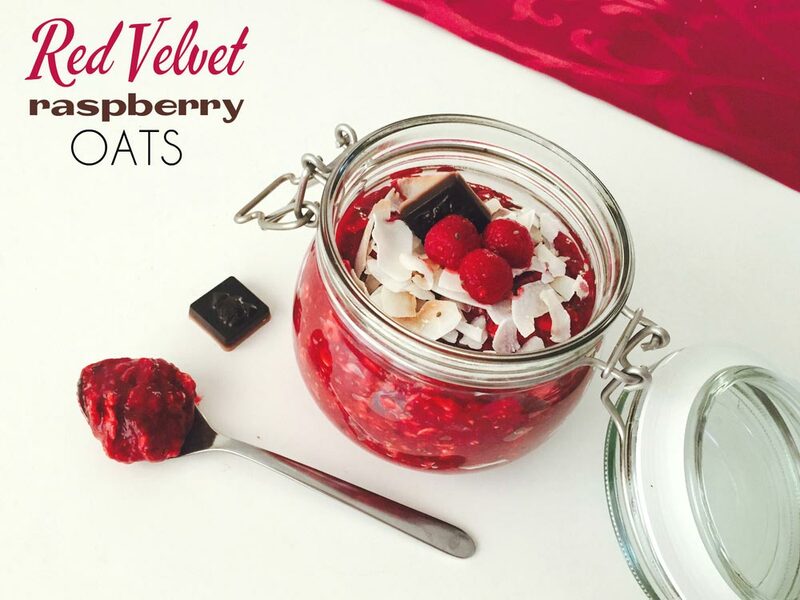 Blend the raspberries in blender or food processor, then add the drained pitted dates and blend again until smooth. 3. Add the chia seeds and stir well then add the oats. Leave the mixture for half an hour (or even better over night) for the oats to soak and the chia to create the jelly consistency. 4. 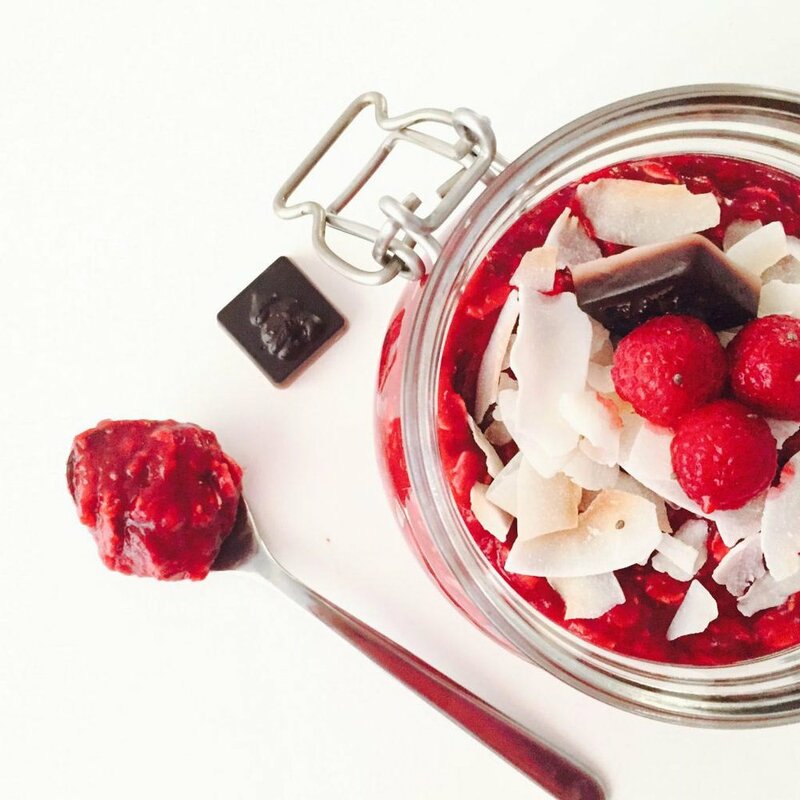 Top it with the roasted coconut chips, fresh raspberries and Choco vegan melts. Thank you for reading my blog! If you enjoyed it please like, comment and share it!